Following the Paris premiere, Eva Green made her way to London for the 'Dumbo' premiere this evening(March 21st) at The Curzon Mayfair. 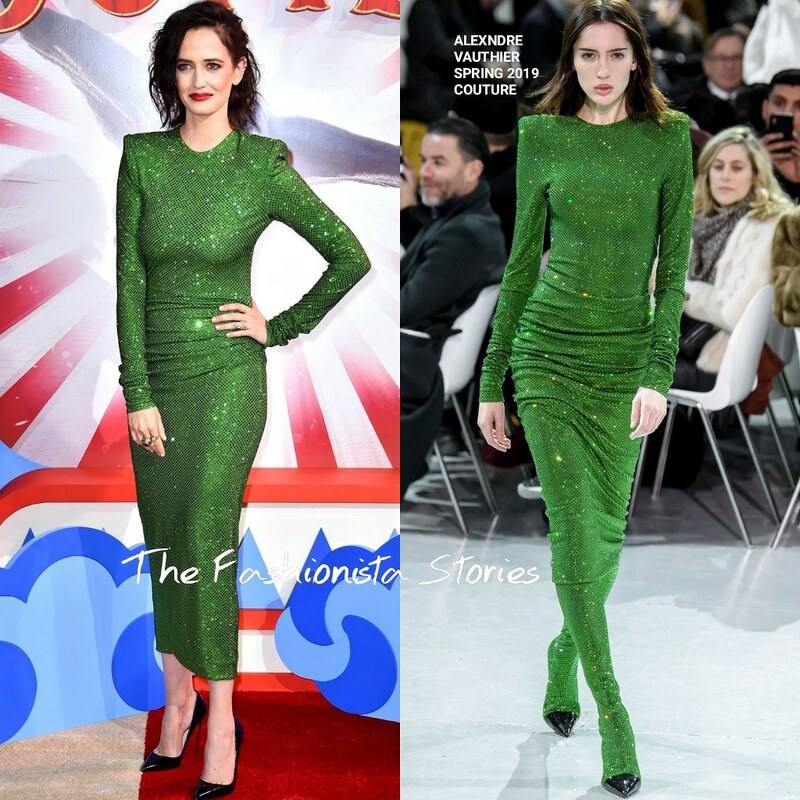 Eva sparkled her way onto the carpet wearing an long sleeve, padded shoulder green crystal-beaded calf-length dress, from the ALEXANDRE VAUTHIER SPRING 2019 COUTURE collection. The dress was shown with the matching boots on the runway but Eva double down on the sparkles by wearing simple CHRISTIAN LOUBOUTIN black pumps. This green is such a great, bold hue which I like but if I had to nitpick here, I wish she wore a supported bra. On the beauty end, she went with an smokey eye, which was offset with an red lip and side parted waves which topped off her look, along with JESSICA MCCORMACK jewelry.